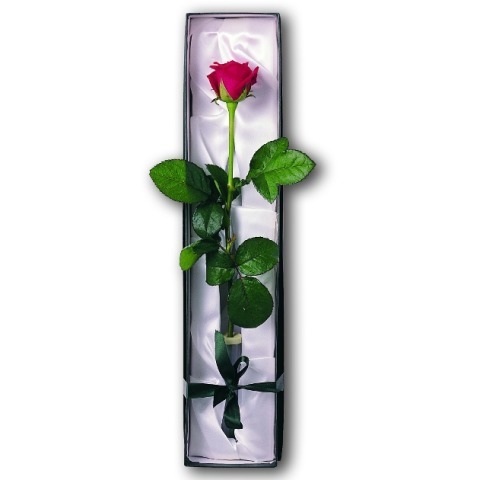 Our single roses are delivered in a presentation box tied with ribbon, perfect for sending to your loved one. Your loved one can appreciate the meaning of the rose colour, and the personal message which will be delivered with your single rose. Please choose from the colour options below. Our fresh flower bouquets are all guaranteed for at least 7 days. Customer service has always been key to us and we believe that this aspect of our business. This means that we go that extra mile to ensure that you will not be just satisfied, but delighted with our service. All our flowers and plant gifts include free UK delivery by either First Class Post or Guaranteed Special Delivery. Your gift will be securely packaged in our specially designed boxes to ensure they arrive in perfect condition. Handmade chocolates truffles, fine wines, greetings cards and teddy bears are all available to add as a little extra to make your gift even more special. They can be added to your gift during the checkout process.